Following this afternoon’s announcement by Porsche that Mark Webber will assume a new role as special representative for the German automotive manufacturer as he signs off on a long and successful career behind the wheel, the 40-year old Australian has confirmed his intentions and future plans. “Of course hanging up my professional racing helmet is a very big decision but I’ve been extremely fortunate to receive great counsel from two of the legends of our sport, Sir Jackie Stewart and Niki Lauda, about the timings of such a decision,” said Webber as he prepares for this weekend’s Fuji round of the WEC. “The timing is right for me – you certainly view things a bit differently when you get a bit older and your priorities in life change. As with my F1 career, it’s nice to making the decision on my own terms. Webber added, “I’ve really, really enjoyed my time in the cockpit with Porsche and could never have envisaged having such a dynamic relationship with my two team-mates in the #1 919, Timo Bernhard and Brendon Hartley. It’s been a sensational three years and off the back of three consecutive wins, I’m hoping we can continue our good form and finish this year strongly. “It’s an absolute honour for me to remain with Porsche and whether it’s at the track or away from it, I’m looking forward to putting my 26 years’ experience as a competitor to good use in my new role within the company. Goodluck for the future Mark, I have loved watching you race over all these years. You have been a true hero to me, so all the best mate. Sorry to see you leaving the track, Mark, though from the sounds of it we may actually wind up seeing and hearing even more of you in the future. Good luck with whatever course you choose. Legend ! 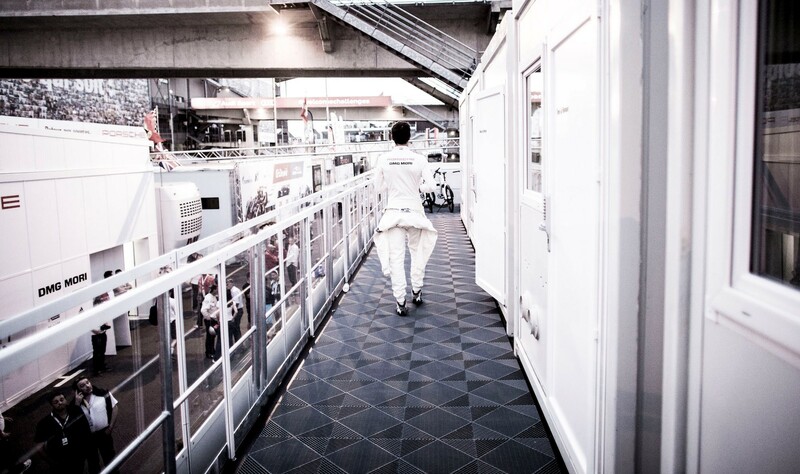 … Thank you for every race, looking forward to what you have in store next. You are my personal favorite F1 and WEC driver. I hope, we see you again in F1 podium, like reporter. I wish you every good, and find again the best jobs for you. All the best Mark! Really enjoyed you in a race car, but enjoy your new adventures! All the best Mark! Gutted to see you not in a race car anymore but enjoy your new adventures! Thanks and good luck Mark. It’s been great watching you over the last 20 odd years. To see an Aussie do well is great but to see a man who shows the right side of respect, integrity and grit is what has impressed me. Your friendships in sport, opinions and knowledge of sport, racing and human nature give us great insights and I hope we continue to see more of that, as well as the odd bit of loutish behaviour in the company car in your new role. You have done australia proud .enjoy your new venture. Sad to see it come to an end, very happy to see you go out on top again, timing is everything. That’ll do mate, thanks for all the fantastic moments, all the best. Well done Mark on a fantastic career. Not too many quick, honest and affable drivers left. Best of luck in your future endeavours. 🙁 enjoy “retirement” lad. Hopefully you can chill still pick up the odd fun racing event…maybe Bathurst 12 hour?? Congratulations Mark on a brilliant driving career, on going out on a high, and doing it on your own terms, You are greatly admired by many people, and with good reason being one of the true gentlemen of the sport. I hope what comes next for you is equally successful and fulfilling. Oh, no, Mark, that’s terrible -and wonderful. You have been an absolute legend for us Aussies, and your recent escapades at Porsche are icing on the cake. You (and Daniel) reflect wonderfully on us as a nation of sports fans -we look forward to many years more of you enrichening our lives. Congratulations on a mega career Mark. It seems like only yesterday i met you at Yellow Pages head office in North Sydney a few days before your Merc sports car contract was announced. You have shown time and time again that you can be not only a top notch racer but a true gentleman on and off the track. Good luck for your future and i would love to see the long rumoured Bathurst 12 hour drive with Eric Bana become a reality. Congrats on wonderful career that has inspired countless people to strive for their own goals; you’ve certainly come a helluva long way from Queanbeyan, NSW and Tralee Speedway. Now looking forward to seeing Aussie Grit, Chapter Two. Good luck with it, mate. Mark you are a real life hero, seems to me you can turn your hand to anything in motor racing… I have followed you since your Jaguar days what thrills you have given since. Best of luck for future achievements. Long time fan of yours Mark. Sorry to see you hanging it up. Good luck and continued success in all of your future endeavours. Well done, Mark. You have done your nation proud. Great to be an Aussie! Looking forward to hearing your comments on Channel 10. Thank you. All the best in your future endeavours Mark. I have followed your career religiously for nearly 20 years and was lucky enough to meet and chat with you in the Qantas Club at Canberra one day during your Jaguar years. As was previously mentioned in these comments, I hope you will still take the occasional drive and that one of them will be in the Bathurst 12hr. We need a Porsche at the front of Class A!! Thank you for the memories.